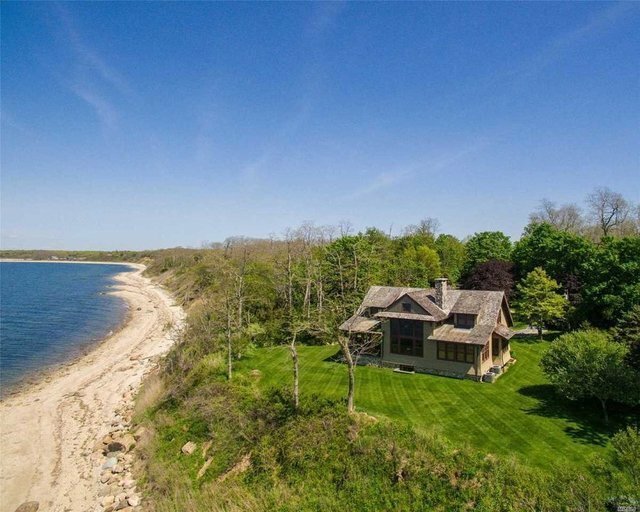 A 6600 Foot Drive Down A Narrow Lane Leads Through Woods And Vineyards To This Handsome Shingle Style Home Set On An Extraordinarily Private 2.5 Acre Waterfront Estate With 340 Feet Of Low Bluff Frontage On Long Island Sound. Completed In 2009 The Residence Is Amenity Rich And Exquisitely Crafted. Come Home And Live Graciously.